When it comes to focusing your attention, energy and business resources, less is certainly more. The best example of this, is Steve Jobs’ approach to Management. 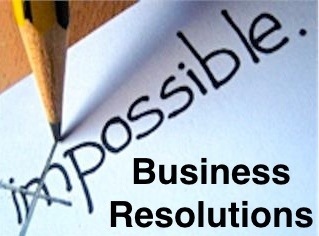 We’re guessing ‘Sell More!’ is already among the top of your Business resolutions for 2012. Are you keeping an eye on your cash flow yet? Effective cash-flow management is essential to the growth of all businesses. Simplify your accounting process, choose an accounting solution that helps you stay on top of your finances. And start making financially informed decisions today! The time and energy you (and your team members) spend on your Business projects is perhaps your most valuable resource. Make the most of this resource, by using time-tracking tools to track the time spent on your projects. Another way to do this, would be to integrate time-tracking into your invoicing process. Remember, time saved is money earned! Great support means repeat business. And that’s reason enough to streamline your Customer Support. Customers now look forward to proactive and participative support. Your support process should take into account multiple channels and should be easily trackable and measurable. An automated invoicing process can help track time and expenses while you focus on other aspects of your business. Work with an invoicing tool that comes with additional features such as reports, mobile accessibility and integrated online payment capability. Do you have an online customer support community where your customers and employees can interact, share feedback, discuss ideas and brainstorm? If not, set up a forum where you can engage them and gather valuable insights. Social media is more than just an extension of business ethics. Your customers are out there, having conversations about your Business (or your competitors). It’s all up to you to be a part of those conversations, engage your customers and prospects, provide support and share content that matters to them. So does your Business have a clear social media strategy linked to your overall Business objectives? BIf not, now might be a good time to start! The pricing of products or services that your Business offers is probably not the main decision-making factor for your prospective clients. But, it certainly is important. Foster an environment that encourages employees across various teams and locations to collaborate effectively. Online tools for Project Management, Discussion Forums and Web Conferencing can help you on the way to achieving this. In order to make informed Business decisions, it is critical to keep an eye on your Business reports. An online reporting and Business Intelligence tool can make it easy for you to visualize and analyze your Business data.